Formula Vee (US) or Formula 1200 (Canada), is a racing class based on the pre-1963 Volkswagen Beetle. The engine, transmission, suspension and brakes are stock or modified parts; the chassis is a tube frame design with a fiberglass body. It has changed little from the start, yet has seen some of the world’s finest racers in its ranks. Our Canadian/American based series is passionate about providing a competitive and low cost venue for hardworking, up-and-coming drivers. 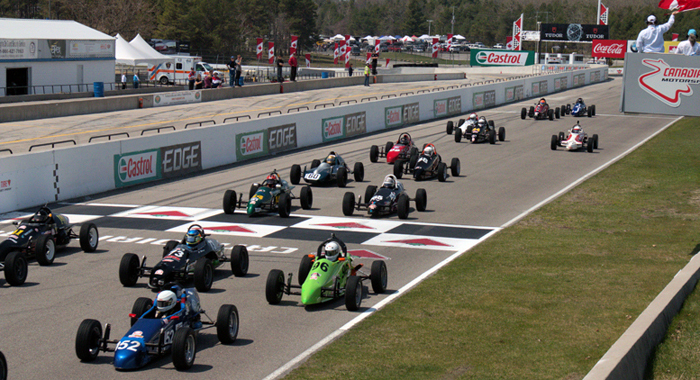 The ten race season features Formula Vee and Formula 1200 open-wheeled race cars competing at premier road courses within the United States and Canada. With the increased exposure and interest in both Canada and the U.S., this series can only get bigger, making this the perfect time for a passionate brand to partner with the Challenge Cup.